Glam, Glitter, Dandy, Hippie, Yuppy, Mod...So many Bowies to choose from. The Tribute to Ziggy Stardust, The Thin White Duke, the Amazing David Bowie. 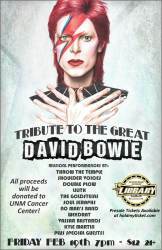 Your favorite local bands will be performing your favorite Bowie songs. It will be a glam filled evening. 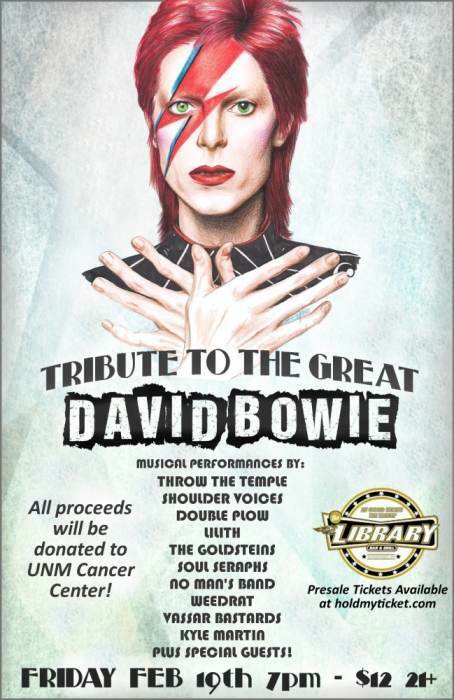 All proceeds will go to the UNM Cancer Center. Come out and honor the man that changed everything, and was always changing..